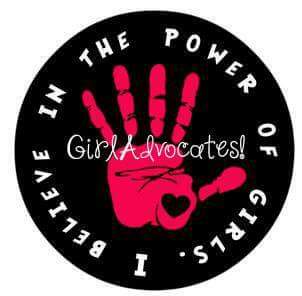 GirlAdvocates! is focused on encouraging and promoting education, self-image, and mentorship for young girls in the Pflugerville area and all over the world. Join us every second and fourth Wednesday to talk about establishing a legacy of female empowerment at HHS and around the world through our three focuses- mentorship, service, and philanthropy. We ask that each member achieve one mentoring point, two service points, and one philanthropy point each school year. The group began at UT Austin and Hendrickson is the first high school to implement its ideas. We hope to start visiting girls soon in the Pflugerville middle schools during their school day. This is because girls at the ages of 11-13 are in for some of the toughest times of their lives. With pressure from school, friends and family, it is hard to be a middle school girl! Select members of GirlAdvocates! will be assigned to a girl who she gets to teach about the values of learning and how to maintain a positive body and self-image. The reason we start with such young girls is because they are more impressionable and will be able to develop more confidence earlier in life. Contact our mentor master, Samantha Zinni, for more info. We are committed to giving back to our community through hands-on service opportunities. We are looking forward to establishing a relationship with woman and girl- oriented nonprofits such as GirlStart, Smart Cookies, GenAustin, Girls on the Run, and Safe Place. Here is where we can make the biggest difference. This category has to do with awareness of issues outside of our immediate point of view, and initiative to fix them. It means helping to fundraise for international programs like the girl effect, and giving presentations on issues that affect women in the throughout time, all over the world. Learn more on our FAQ and inspiration pages. To schedule a presentation, you can talk to our secretary, Skyla Savage. If you want to suggest a fundraiser or an organization to support, contact Treasurer Mary Johnson.